This modern and stylish impressive building, conveniently situated between two mainline train stations is a perfect place for those who wish to work collaboratively in a supportive and flourishing environment. Possessing a broad range of office sizes as well as co-working space, we can offer the flexibility and variety that a business needs. Facilities include meeting rooms at discounted rates, a wide range of events for the business and local communities, 24 hour access, an incredible community of entrepreneurs to tap into and a Coffee Shop offering an array of hot and cold food and daily specials. As a licensee here you will also have access to a kitchen, showering facilities and a car park. The Centre is perfectly located with close access to the M25 and A2, as well as local bus routes and Abbey Wood and Belvedere Stations. Our location will be enhanced even more once Crossrail opens, which will link Abbey Wood station with Central London, Heathrow Airport and Reading in the west. These offices in Veridion Way offer a range of prices depending upon your exact requirements. Contact us now and we will help find the best price for you, based on your individual needs. 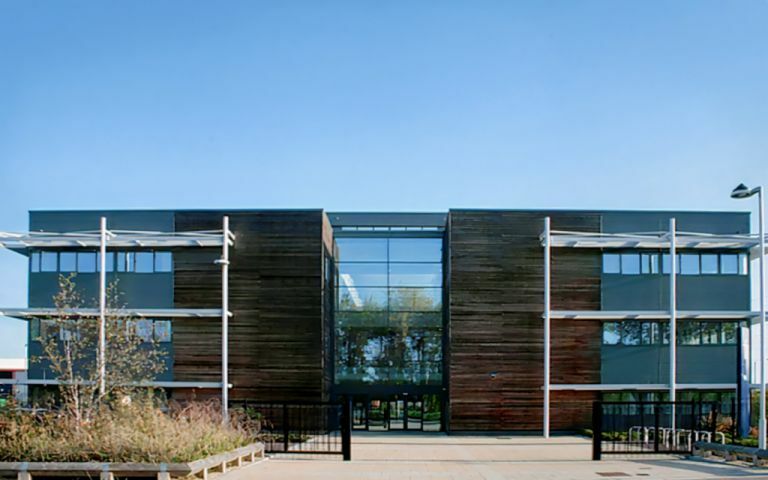 Our Rainham office space provides clients with Grade A office space with the added benefits of a state-of-the-art lecture theatre with breakout rooms and on site Cafe/restaurant.